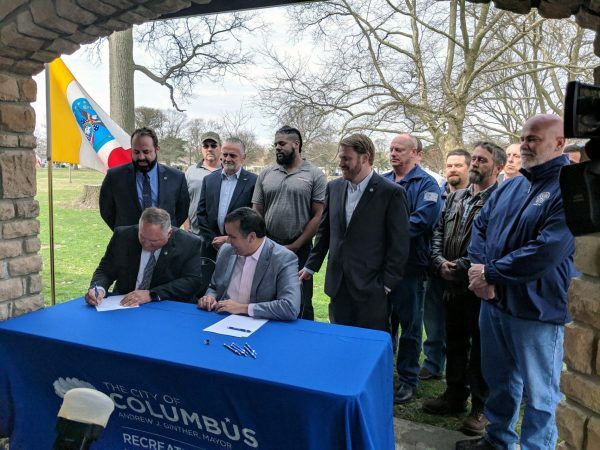 Construction Labor Unions and City of Columbus’ Community and Workforce Committee continue a successful partnership through new Community Benefits Agreement. 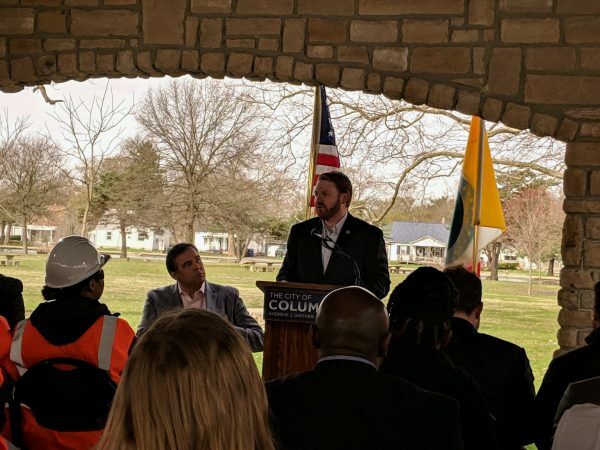 Columbus Building Trades Council Secretary-Treasurer Dorsey Hagar and leaders of Central Ohio building trades unions joined Columbus Mayor Andrew Ginther, Columbus City Council members, and community stakeholders for the signing of a community benefits agreement (CBA) for the construction of the city’s new Linden Community Center and Park. 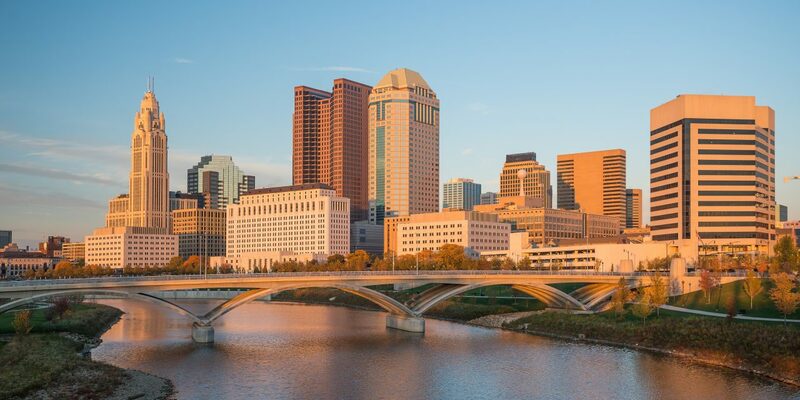 The CBA includes a 30% local workforce goal, requiring contractors to make good-faith efforts to hire qualified workers from the Linden neighborhood, and outlines plans for three Columbus Building Trades Recruitment events in the community. 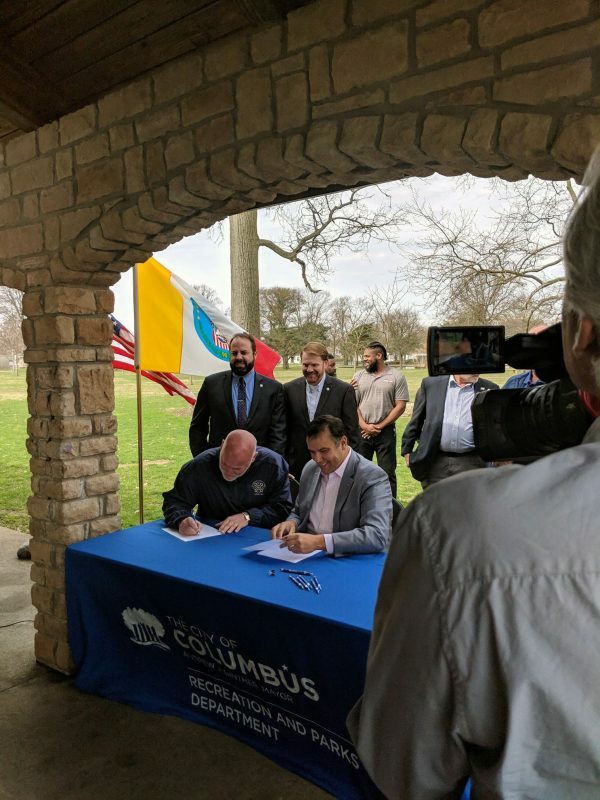 Like the CBA signed between the Columbus Building Trades and the city of Columbus for the construction of Firehouse Station #35 on the city’s far east side, the Linden CBA solidifies the shared vision of the Columbus Building Trades Council and the city of Columbus to increase union construction career access for minorities, women, and low-income residents.